Being renowned enterprises in this industry, offering an optimum quality assortment of PVC Garment Tags to our customers. These products are made using finest quality components. 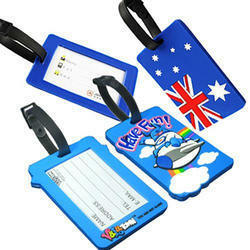 We are offering PVC Bag Tag to our customers. The company is chiefly engaged in the manufacturing and supplying of the premium PVC Tags all across the globe. Our PVC Tags are available in a variety of materials and are used in different products. The variety of our PVC Tags is offered at the market leading prices for the clients. 3.Available in seven colours Red, Blue, Black, Green, White, Yellow & Transparent. Prices may vary according to samples. In Bulk orders, the prices will be very less. 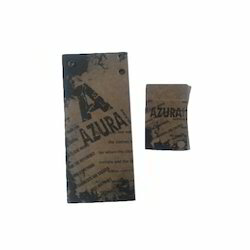 Coordinating with various developments taking place in the industry, we are indulged in offering Garment Tags. We are one of the trusted companies of Printed PVC Tag. Our products are enormously admired in the market owing to their top features. They can be fixed around cables, cable harnesses, pipes or tubes with cable ties. Write on labels with indelible marker pen. Standard Colour : Natural White. Other colours on request. Operating Temperature : -25° C to +85°C.